T-Levels, robotics and a painful blow for the self-employed. 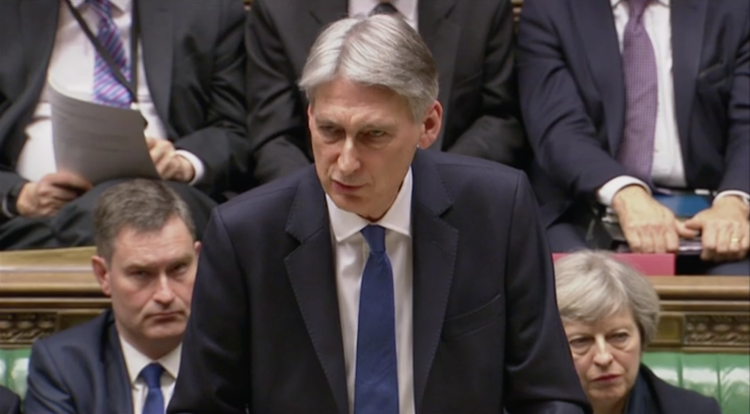 This afternoon Chancellor Philip Hammond revealed the next phase of the Government’s plan to prepare Britain for Brexit, along with some interesting tech-related announcements. Forget A-Levels, the Government plans to launch a new qualification for 16-19 year olds focused on more technical subjects. Make no mistake, after years of complaining that the UK is facing a skills crisis (especially in the tech sector) this is part of the Government’s solution to resolve it. Engineering, digital, and logistics are among the subject sectors that technical-levels (or T-Levels) will cover, with job-specific specialisms for roles like software designer or IT support. But don’t get too excited the T-Levels revolution won’t start until 2019-2020, but when it does it’ll be supported by an extra £500m in funding per year. Many of Chancellor Philip Hammond’s policies were pre-announced by the PM. While the Chancellor giveth with one hand, the other taketh away, especially for those in self-employment. Traditionally those entrepreneurial types working for themselves have been able to offset some of the risk with lower national insurance contributions (NICs), paying just 9% to the employed person’s 12%. However Hammond signaled today that the glory days of this disparity will soon come to an end, with NICs rising by 1% over the next two years for those self-employed. “As our economy responds to the challenges of globalisation, shifts in demographics, and the emergence of new technologies, we have seen a dramatic increase in the number of people working as self-employed or through their own companies,” Hammond said. Clearly with sharing economy businesses like Uber, Deliveroo and Airbnb leading to dramatic increases in the numbers of people turning to self-employment, the Chancellor is keen to plug what is a growing hole in the Treasury’s tax incomes. But it’s a divisive decision as self-employment is often the gateway for entrepreneurs to start new businesses and boost employment. “For the Government to say ‘we want the UK to be the best country in the world for starting a business’, and then to hit entrepreneurs with this is disingenuous and sends the wrong message,” Romilly Dennys, executive director of startup policy group Coadec, told The Memo. As has become the way with recent budgets and statements, the Government revealed a fresh pile of cash for innovative new technologies. Hammond revealed £270m will be added to the UK’s Industrial Strategy Challenge Fund which builds links between business and science research. This money will be especially targeted towards next generation batteries for electric and self-driving cars, artificial intelligence, robotics, and pharmaceuticals. Another £16m will be invested in building a 5G hub to trial even faster mobile internet technology, with a focus on spreading mobile internet across Britain’s vast road and railway network. Finally £200m for “full-fibre” broadband networks, which, added to the £400m already pledged in last year’s Autumn Statement, is a depressing signal of just how far behind the project is to rolling out even faster internet access across Britain. While this cash will be welcomed, it’s largely following money that has already invested in these areas and represents little change in direction for a Government that loves headlines about robotics and driverless cars.